I find that I cannot do without my Jaaxy Keyword Research Tool, and have been an upgraded member for well over a year now. Jaaxy is the best keywords research tool that I have ever used, as it is easy, tells you everything you need to know on the first search screen, and also gives you great ideas for other search terms that are similar and that will rank better. Here are the main reasons why my Jaaxy membership is one I won’t surrender easily. 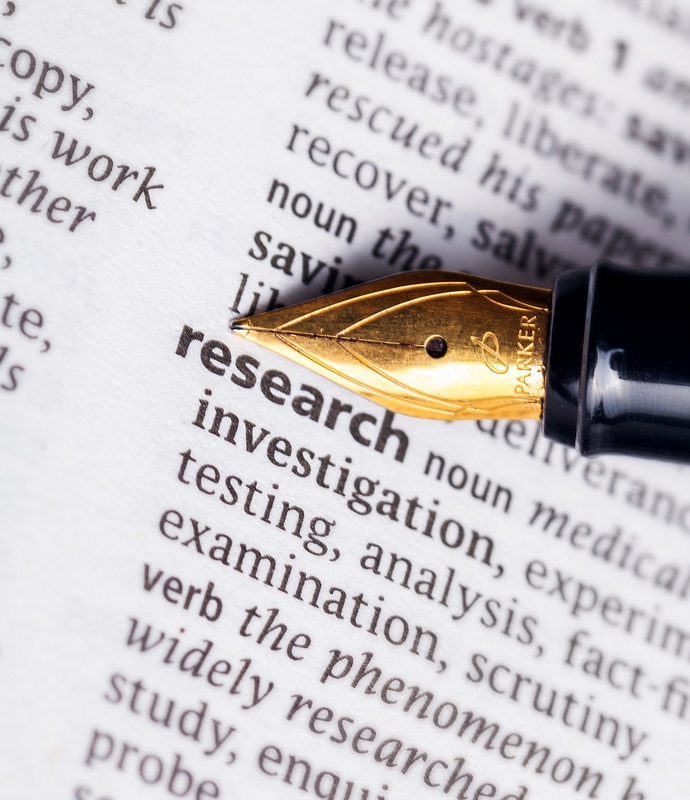 I have been marketing online (affiliate marketing) for a couple of years now, and the one thing that I have always hated is keyword research. Most keyword tools ask you for the keyword and just give you the average searches, then you still need to research further to find out what the competition is like and also how easily you would be able to rank for a certain keyword. It was all just soooooo tedious…. Why Jaaxy Keyword Research Tool? I think the main reason that I hated keyword research, is because it was such a long, complicated and boring procedure, and it got even worse when the Google Adwords Tool was taken down. I tried various programs, but there was such a long learning curve involved that by the time I got to the keyword research part, my brain was frazzled, and I just took the first keyword I found. Jaaxy Keyword Research Tool is such a pleasure to work with as it is quick and easy, and within seconds, I have a pile of great keywords that I can use on my sites. When you go to the Jaaxy site, you will see that you can sign up for free and you will have 30 free searches to try out the keyword tool. I think this is what sold me, as it was just soooo easy. Domain names that are available for that keyword. You then have the ability to save your keywords to lists that you can create for yourself on the site, for use at a later date. You even have the ability to purchase an available domain name right there and them. There are other features on the site that are also extremely handy and well worth my monthly subscription fee. Search Analysis, which lets you see your competition by simply typing the keyword into the search box. Alphabet Soup, which helps you come up with more keyword ideas in a jiffy, without having to leave the site. Brainstorm, which gives you lists of other popular keywords that are being searched for at the moment. Site Rank, which tells you on what page your site is ranking for a particular keyword, which helps you monitor your site. Search History, where your searches are stored so you can go back without having to write anything down. The ability to set the tool to track how well your keyword is performing on your site. You can set how many checks you want the system to do for you each month. Affiliate Program, which you can participate in, and you could get your subscription for free each month, by using your earnings. I don’t know how I ever did without my Jaaxy Research Keyword Tool in the past. I highly recommend it for anybody who does any sort of blogging, or affiliate marketing, because the one thing that I have learned over the past while is that if you don’t do your keyword research, there is very little chance of your post or blog being found online by somebody using the search engines. This will mean that you will have to become extremely good at paid advertising, as that is the only way that you are going to get enough visitors to your website to make a good income. Click Here to try out Jaaxy at no cost for your first 30 searches. Still not convinced that Jaaxy Keyword Research Tool is the real deal? Wow, just got some great news today (13 December 2017). Jaaxy has just been integrated into the Wealthy Affiliate System. So now if you are a Wealthy Affiliate member, you can get Jaaxy lite for free, or if you need a more upgraded version, at a huge discount. To read more about Wealthy Affiliate, you can click here. It looks kind of odd that you kind of have the same picture duplicated at the top, but the information in the article is solid. I’ve been using Jaaxy for a while now and it does make keyword generation pretty easy. It’s also just kind of fun to type things in and see all the information associated with different keywords. Yes the picture does look strange duplicated, but it is the website theme that wants a feature image so on the home page only one picture shows. Glad to see somebody else also benefiting from Jaaxy. Hello here, yes you are right about Jaaxy. It is really good tool, because it saves time. Time is most valuable asset in our lives. We can not buy it or borrow. You can try Jaaxy for free. Wealthy Affiliate have 30 free searches. You can see how it works. Comparing with search engines such as Google or Bingo, Jaaxy shows how fast compare with them, you can get results. Besides it, Jaaxy offers a lot features. What I like that I can see how my website ranks, domain and particular pages. It takes 45 seconds and results are here. Thanks for spreading message about this efficient tool. Thanks for your comment and glad to see somebody else benefitting as much as I am from this tool. I love your website. For the past few months, I’ve always wanted to find ways to promote one of the best keyword research platforms in the world and I think I found what I was looking for, LOL. Great job organizing your pictures as well as the bulletpoint steps as to how one can utilize the platform. Excellent job. Maybe I should come to you for help. LOL. Nevertheless, keep up the good work! Thank you and good luck building your review. Jaxxy is a great keyword research tool. I’ve been using the Pro version for the past 3 months. Prior to that I was relying solely on Google Keyword Planner, which is nowhere near as detailed and accurate. The posts I’ve written with keywords found through Jaxxy are all ranking better then my previous posts and, not only that, they seem to be ranking much quicker, too. This is a good post explaining the benefits of this awesome research tool. Every marketer should give Jaxxy a try. Having come from zero background in keyword research, Jaaxy is indeed a great tool to use. I like the fact that I don’t have to analyze any data and the color coded results show me instantly what keywords to focus on and which one to ignore. This saves me reading time but it also makes keyword research very addictive. Sometimes, I would spend up to 30 minutes just ‘digging’ because there are just so many good and low competition long tail keywords that are still available. You are absolutely spot on there. Thanks for the great review of Jaaxy. Having a worthy keyword research tool is critical I think to have an effective online marketing program. Based on what this tool can do as stated in your review, it sounds like this is a very viable one. I personally use a competitor’s product, at a similar price, and it works well too…But, I would consider switching to this when my annual membership runs out in May of this year. Not sure which one you are using, but I have used 3 others, and Jaaxy beats them all. I’ve just subscribed to Jaaxy and have been loving it so far. It really helps make the process of keyword research a lot less tedious. One of my favorite tools is Site Rank. It allows me to easily check where my keywords are ranking in Google. This is better than having to click pages manually. Yes, I agree with you Alec, the Site Rank tool in Jaaxy can be rather addictive. I too love jaaxy! It is by far the easiest keyword search tool I have used. It is so nice to have the guess work taken out of related keyword searches and not have to do to much to find relate to topics to blog on. What a great blog you have about learning how to profit from a blog. What is your best advice for getting a blog noticed so it gets more views? I would say apart from having engaging content, the look of the blog or the theme that you use must be friendly to the eye, and your blog should be easy to navigate through. I was looking for ways to make my website search engine friendly and I fortunately found a great way from your recommendation of Jaaxy. I love how they recommend different searches and show you all of necessary information to optimize your website the best. Thank you very much for sharing!! Are there any other websites you recommend for finding new keywords? Content Samurai also good but quite complicated tho learn. Long tail keyword pro is prob my second choice. Thanks for stopping by. I, too, have been using Jaaxy for my keyword research needs and I agree with you when you say that it has so many features that prove to be quite handy for onlne marketers like us which makes its subscription fee worth it. And I love it that they have a free option that enables you to see the toolâ€™s features first before plunging in to subscribe. It was an investment that I never regretted and I never used any other keyword tool after Jaaxy. I agree Kathy, Jaaxy Keyword Research Tool just makes life so much easier. I have now subscribed to the yearly membership as it is cheaper over the long haul. Thank you for this article. I can relate with you when you said that keyword search could often be an exhausting process. Thanks to Jaaxy; it has made online marketers’ and bloggers’ lives a lot easier. I also like that you mentioned some of the wonderful things about it– such as the keyword quality indicator; which can save one a lot of time. Cassia, Jaaxy Keyword Research Tool is my lifesaver and I don’t know what I would do, or how I would even rank without it. I am actually just about to start using Jaxxy. Very excited about using Jaaxy actually and will now fit perfectly with what I am doing with my blog. It was excited to put in a post that I have only recently written and to see it was ranked 2nd page on Google. You don’t want to spend all this time writing posts and hope they rank so can’t wait to get started using this tool. You are going to love Jaaxy Sharon. It is so simple to use and the results are instant. I am actually just about to start using Jaxxy. Very excited about it actually and will now fit perfectly with what I am doing with my blog. It was exciting to put in a post that I have only recently written and to see it was ranked 2nd page on Google. You dont want to spend all this time writing posts and hoping they rank so am cant wait to get started using this tool! I love Jaaxy too. Over the years I’ve used several keyword tools. Jaaxy beats them all for ease of use, results, and price. In affiliate marketing, there are countless small tasks that must be completed each day. With an inferior keyword tool, keyword search can be time consuming and energy draining. Jaaxy saves you from that. It’s fast. It’s easy. And it’s fun. My keyword search is over and done in minutes, thanks to the speed of Jaaxy and how it marks the most promising keywords with a green light. Easy, peasy, lemon squeezy. I agree Gary, this is why I love Jaaxy and wouldn’t do without it. Hey, first of all thanks for this great, interesting and very informative review of Jaaxy. I tried the free version myself and was thinking about upgrading to a pro version. I sadly used the 30 free searches very fast and liked the software quite a lot. Actually the pro version is not that expensive either and I would say Jaaxy really is one of the best if not the best keyword research tool. I agree with you. 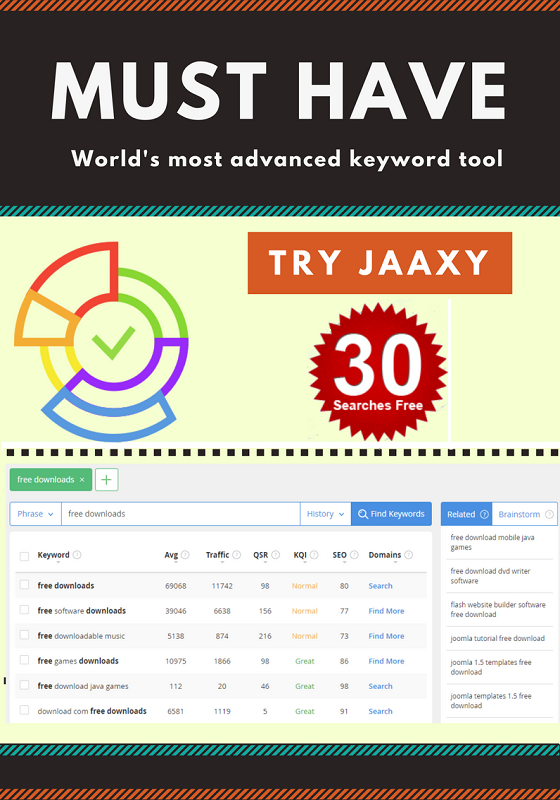 Jaaxy is definitely the best keyword tool that I have ever used, and I have paid for three over the years. Thanks for stopping by to comment on this Jaaxy review. I love Jaaxy too for all of the reasons you mention here. I was lucky enough to join Jaaxy early in in my affiliate marketing journey so I’m sure I’ve been spared a ton of headaches and frustration. I especially like how you can see how your keywords are ranking on a daily basis. It’s been so useful in helping me see which ones are ranking well. Thanks for the comment and glad to see a fellow happy member of Jaaxy. Jaaxy is a great keyword tool, I love the range of data it provides for keyword analysis. The data is so easy to understand and having the keyword difficulty colour coded makes it easier to spot keywords you want to go after. The other feature I really enjoy using is the affiliate programme finder, saves you from visiting Google and wading through search results. I had forgotten about the affiliate program finder. Thanks so much for the reminder Minhaj.